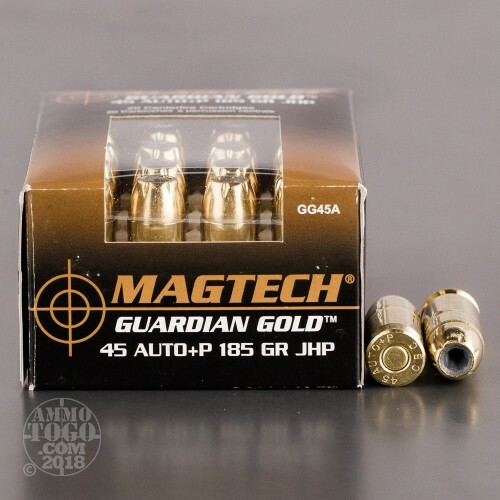 Magtech has been manufacturing reliable, high-quality ammunition since 1926. Magtech manufactures all their own components using only the finest raw materials available. It is no wonder law enforcement agencies around the world choose Magtech for their training and duty ammunition. 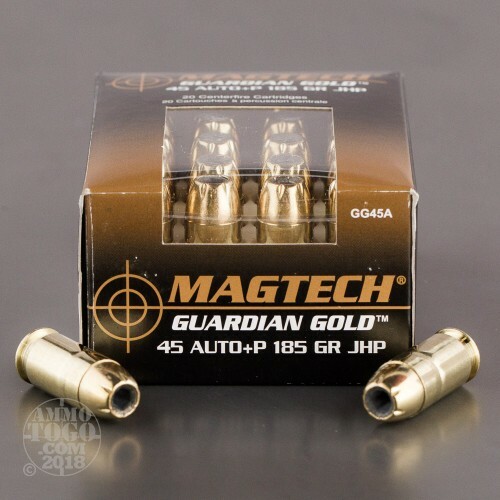 This package contains 20 rounds of Magtech Guardian Gold .45 ACP (Auto) ammunition. Each cartridge is loaded with a 185 grain jacketed hollow point projectile. 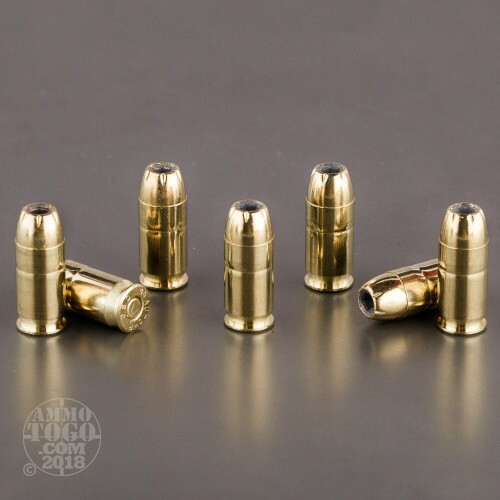 These budget-friendly loads provide exceptional energy transfer, optimal penetration, impressive terminal expansion, and reliable accuracy, making them ideal for civilian personal protection or law enforcement applications. 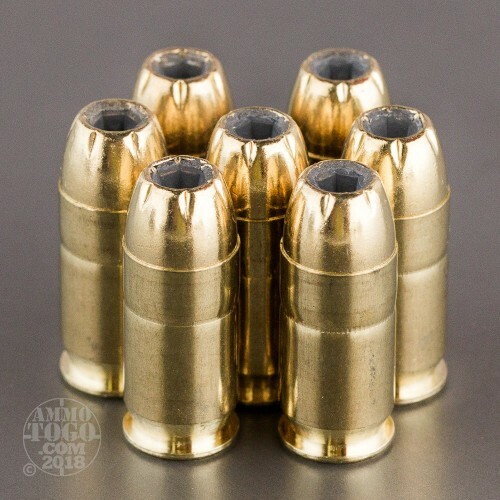 These factory fresh rounds are loaded to +P overpressures and produce muzzle velocities of 1148 feet per second with 542 foot pounds of energy. Non-corrosive and boxer primed, these rounds are loaded in high-quality brass cases and meet all SAAMI and CIP specifications.